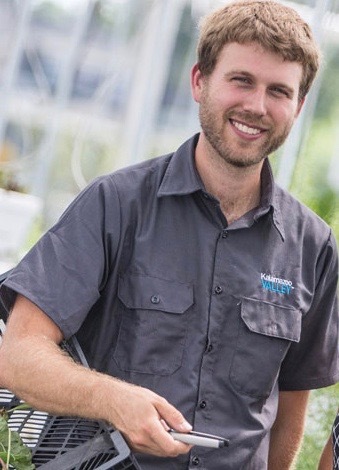 Ben Bylsma, production manager at the Kalamazoo Valley Community College’s Food Innovation Center is helping chef’s become growers. The Kalamazoo Valley Healthy Neighborhoods Food Innovation Center is unique mix of culinary arts, health care and horticulture is evolving in Kalamazoo, Michigan. The Great State of Michigan and private donors have invested $46.1M to construct a campus dedicated to improving the health and well-being of residents through improved nutrition and diet. Culinary students learn how to grow food as well as how to prepare and cook food. The Food Innovation Center will focus on sustainable food systems, food safety essentials, winter crop production, and food industry career planning. The Food Innovation Center features classrooms and labs, an indoor hydroponic grow room, an instructional greenhouse, and a native soil garden. Ben Bylsma and KVCC are innovating food our food system. Ben talks with me briefly about food as the core to hour health and what the Food Innovation Center is doing right now.